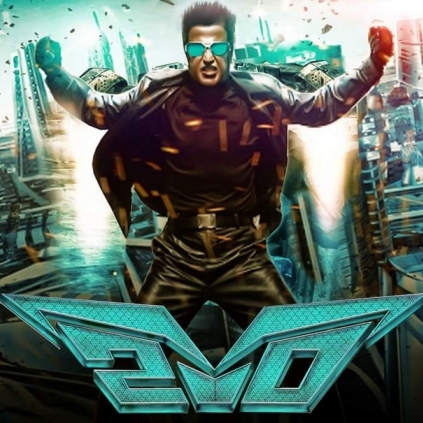 Superstar Rajinikanth and Shankar’s 2.0’s shooting is progressing at a good pace and it looks like the post-production work of the film is also happening simultaneously. The sound designer of the film, Resul Pookutty has posted on his Twitter handle about this interesting update on the film. He posted, ‘’Enroute to a chennai to start the dubbing with our own @superstarrajini for #2.O’’. It seems like that the dubbing of the film is also developing while the shoot is going on. The film is slated for a Diwali 2017 release and the production work for this magnum opus is bound to take time. This simultaneous working for the post production will help the film come out as early as possible. Sources say that Superstar Rajini is currently filming and that he has only one more schedule left. It is also reported that his portions are to be completed by February 2017. We can expect more updates from the team of 2.0 in the near future as the film is making headway at a brisk pace. Rajini and Kamal for Prabhu! Allu Arjun’s announcement for this festival! People looking for online information on 20, Resul pookutty, Superstar Rajinikanth will find this news story useful.